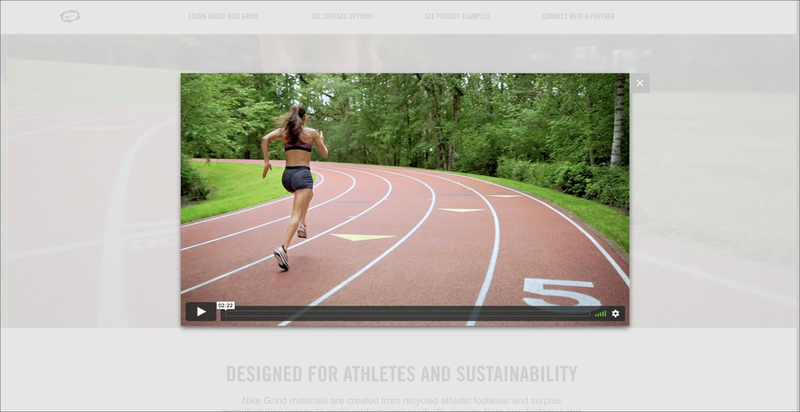 3/Thirds redesigned and developed a complete website overhaul for Nike Grind. 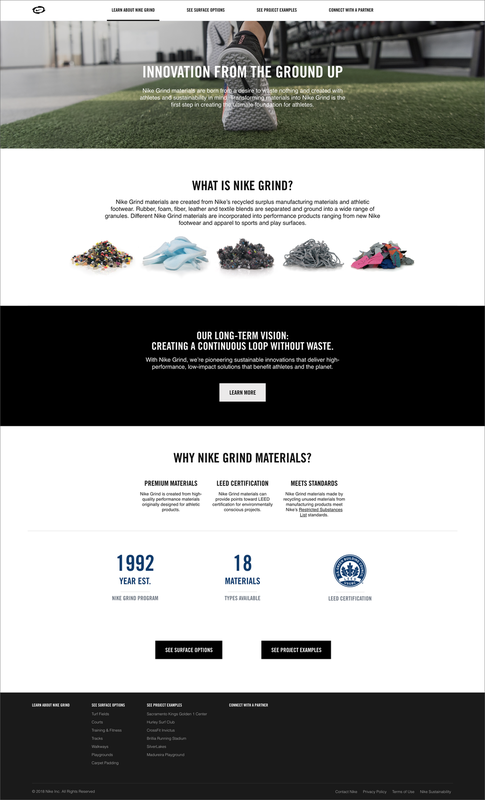 The goals of this refresh were to create a fresh, modern site that aligns with Nike’s overall brand look and feel, create a better user experience, clarify the Nike-surface-partner relationship, give site visitors a better understanding of how Nike Grind is used in developing surfaces and to ultimately increase lead acquisition. In collaboration with Nike and agency partners, we redefined, directed and created this evolved site end to end, pixel by pixel. Part of this effort included elevating the surface stories and featuring the product details to offer better insights and context to the surface solutions. Additionally, new UX was designed based on insights from the previous site and the licensee partners. Working with our partner agency, we created a robust CMS with an integrated portal to capture and manage lead information distribution for multiple levels of licensee users.